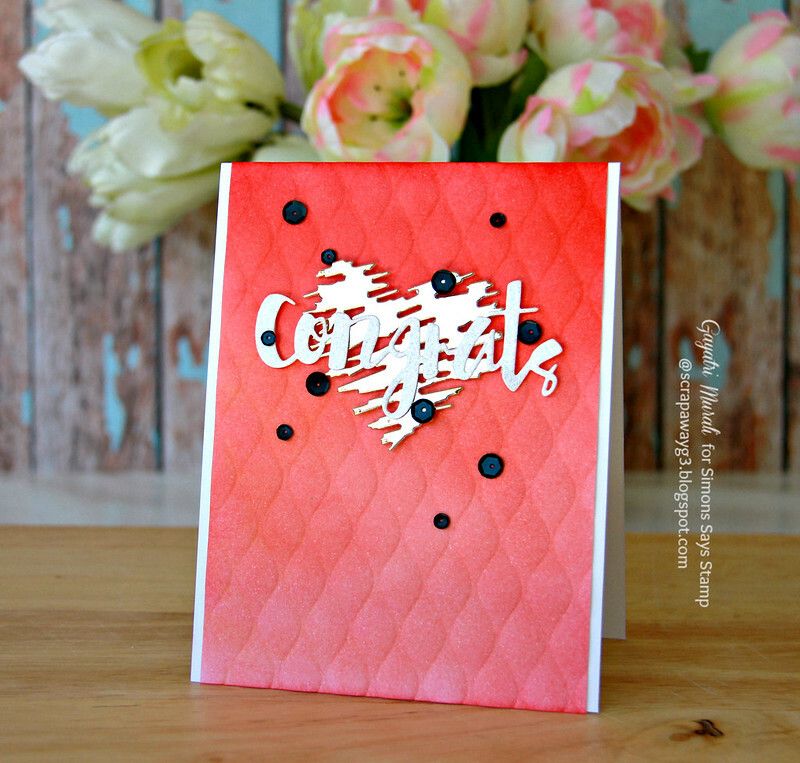 Another Next Level embossing folder card! Anyway, I have another card I made using the Next Level embossing folder from We R Memory Keepers. This this actually the first one I made out of the three. I shared the other two using liquid pearls. On this card, I have sponged inks in ombre and embossed using the folder. So I started with sponging Candied Apple, Festive Berries, Worn Lipstick and Abandoned Coral distress inks on a white cardstock panel. Then I ran this panel through cuttlebug using the Wave next level embossing powder. I adhered this panel on white card base. 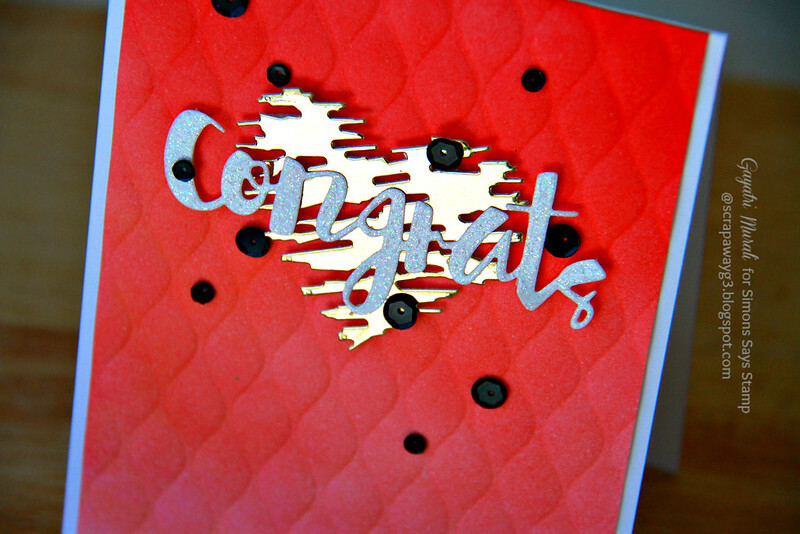 For the focal point, I die cut Simon Says Stamp Scribble Heart die using gold foil cardstock. I adhered this on the top centre of the panel using foam adhesives. Then I layered this scribble heart die with white glitter Painted Congrats die cut. This die is from Simon Says Stamp. Now I needed some contrast on my card. So I used Pretty Pink Posh’s Onyx 6mm and 4mm sequins to bring the card together and add contrast. Beautiful card!! Love the ombre coloring!! Hope you are able to handle things. Sending you hugs!! Stunning colours and a beautiful card Gayatri….Hopefully things are better with you now…take care….! !